Lotte Houwink ten Cate is a Ph.D. student in modern European and international history, with a focus on the intersections between the political, intellectual and legal history of twentieth-century Europe. She has particular interests in the family and the state, the aftermaths of war, the history of sexuality, and modern Jewish history. Lotte is working on a dissertation project about the transatlantic exposure of intimate violence between men and women as a problem in the second half of the twentieth century, and its legal and political aftermath in western Europe. 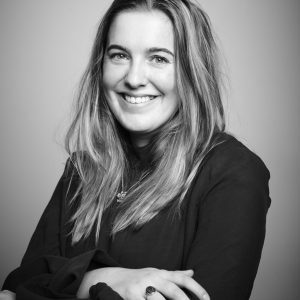 Lotte is the recipient of a Fulbright Fellowship, a Leo Baeck Fellowship of the German National Academic Foundation and, most recently, a Pre-Dissertation Research Fellowship of the Council for European Studies. She is a graduate of the dual MA/Msc program in International and World History at Columbia and the London School of Economics, and holds an MA in Middle Eastern Studies from the University of Amsterdam. Lotte received a BA in Literary Studies and History from Amsterdam University College, and has studied Arabic in Damascus and Yiddish in Paris. “‘Die Amerikanerin Scolds!’: How the Private Friendship Between Hannah Arendt and Gershom Scholem Went Public.” New German Critique. (Forthcoming). Lotte is the co-founder of the transnational oral history project Making Waves: Documenting Second Wave Feminism, which received a History in Action Project Award, and is a co-organizer of the International History Workshop at Columbia.